Designed specifically to fit the Robert Sorby TurnMaster system, these high speed steel cutters offer the sharpest possible edge for the finest finishing details on the lathe. The cutters are easily sharpened on standard sharpening equipment. Available in a range of profiles to fit almost any turning application. Cutters for the TurnMaster system are also available in Tungsten Carbide and Titanium-Nitride coated HSS (e.g. #49356 and #45438, sold separately). See the"More Info" tab for more on the different cutter materials. Solid tungsten carbide for an incredibly long cutting life. Cutters can easily be swapped by removing the high tensile torx screw on the TurnMaster shank and be easily removed to change the cutter. 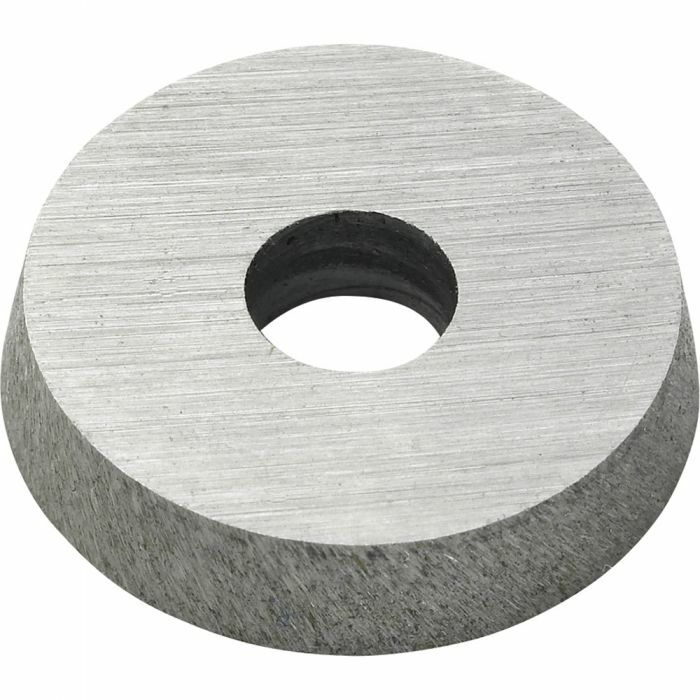 Round HSS Cutter is 9/16" in diameter, and is ideal for waste removal and shaping of concave surfaces.